Created by Autodesk, AutoCAD is industry-leading software for 2D and 3D CAD and drafting. Versions of the program are available for both Microsoft Windows, and once again (after an absence for some years), the Apple Macintosh. The software includes an extensive set of customization tools, including scripting languages (AutoLISP, VBA, and others), and interfaces for programmers (APIs) including a C++ programming interface (ObjectARX). As a result, there are many freely available tools for AutoCAD users, as well as commercial products compatible with the software. Autodesk themselves have used the ObjectARX interface to produce vertical/discipline specific enhancements to AutoCAD such as AutoCAD Architecture (for architectural drawings), AutoCAD Civil (for civil engineers), AutoCAD Electrical (for electrical controls), etc. The popularity of AutoCAD means that its file formats (DWG and DXF) have become defacto standards for CAD interoperability. To some extent this popularity has even extended into the customization tools, and competitors have even tried to produce customization features compatible/similar to AutoCAD's own tools, such as their own versions of AutoLISP or ObjectARX. 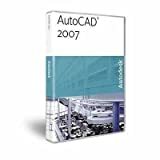 The full version of AutoCAD is quite expensive, so AutoCAD also do offer a cheaper (but reduced functionality) version of the program - AutoCAD LT. 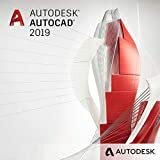 There are numerous differences between the full version of AutoCAD and AutoCAD LT, but some of the most important omissions in AutoCAD LT are the 3D capabilities, and customization features such as VBA, AutoLISP and ObjectARX. Delivery same-day, usually within a few hours. 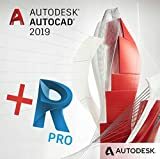 AutoCAD 2019 software includes industry-specific toolsets; improved workflows across desktop, web, and mobile; and new features such as DWG compare. Architectural Toolset Speed architectural drawing and documentation with building design features and more than8,000 intelligent architectural objects. Automate floorplans, sections, elevations, and more. Mechanical Toolset Accelerate product design with specialized mechanical design features and more than 700,000 intelligent manufacturing parts, features, and symbols. Automate tasks, such as generating machine components and creating bills of materials. Electrical Toolset Boost productivity while designing and documenting electrical controls systems with specialized features and more than 65,000 intelligent electrical symbols. Speed design of panel layouts, schematic diagrams, and more. MEP Toolset Efficiently draft, design, and document building systems with specialized engineering features and more than 10,500 intelligent mechanical, electrical, and plumbing objects. Easily design ductwork, electrical conduit, and circuiting for building systems. Plant 3D Toolset Produce P&IDs efficiently, and integrate them into 3D plant design models using specialized plant design and engineering features. Quickly create plant layouts, schematic diagrams, and more. Raster Design Toolset Convert raster images into DWG objects with raster-to-vector tools. Easily edit and clean up raster images while transforming them into vector drawings within a familiar AutoCAD environment. Map 3D Toolset Improve planning and design by incorporating GIS and CAD data. Manage spatial data more easily with standard data schema, automated business workflows, and report templates.